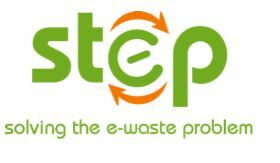 Step (United Nation’s Solving the E-Waste Problem) is E-waste Academy – Scientists Edition (EWAS) is now accepting applications. The E-waste Academy – Scientists Edition (EWAS) is a unique program that brings together 20-25 select researchers from social and physical sciences to look at e-waste with a truly interdisciplinary lens. PhD students, post-docs and early career researchers from around the world come together for an intensive 8 day program that includes expert lectures, hands-on workshops, field visits and groupwork. Since the first EWAS in 2009, it has become the foremost forum available to young scientists involved in e-waste research. The EWAS network spans nearly 100 EWAS alumni from top universities, across 30 countries. This year, the prestigious University of Limerick in Ireland hosts the EWAS. • A CV including a list of publications, presentations at conferences etc. • Participation fee: € 600 which includes all accommodation, meals, local travel and tuition during the EWAS.